Since I have created this blog to help you stretch your money, I have decided to do just that and have put new pricing on my book. Check out Amazon and Smashwords for new pricing. There are reviews and a sample chapter on this site. Check out tabs above. I would love to hear from you after you read it. For the introduction to this seven part series (this is part four), see 3/11/2016 post “How to Manage Money”. Thinking for a moment, Wesley replied, “No. The Lord’s house has burned to the ground. That means one less responsibility for me.” Wesley’s response reflected a basic reality of life—God is the owner of all things and we are simply the manager of his assets. “The earth is the Lord’s, and all it contains, the world, and those who dwell in it” (Psalm 24:1). “Behold, to the Lord your God belong heaven and the highest heavens, the earth and all that is in it” (Deuteronomy 10:14). “Yours, O Lord, is the greatness and the power and the glory and the majesty and the splendor, for everything in heaven and earth is yours. Yours, O Lord, is the kingdom; you are exalted as head over all. Wealth and honor come from you; you are the ruler of all things” (1 Chronicles 29:11-12). “Who has a claim against me that I must pay? Everything under heaven belongs to me” (Job 41:11). “For every animal of the forest is mine, and the cattle on a thousand hills. I know every bird in the mountains, and the creatures of the field are mine. If I were hungry I would not tell you, for the world is mine, and all that is in it” (Psalm 50:101-2). “‘The silver is mine and the gold is mine,’ declares the Lord Almighty” (Haggai 2:8). There are many other scriptures that make this point but these are enough to convince us that we own nothing; God retains ownership of everything. That extends even to our very selves, for God says, “You are not your own; you were bought at a price” (1 Corinthians 6:19-20). “Remember the Lord your God, for it is he who gives you the ability to produce wealth” (Deuteronomy 8:18). “The Lord makes poor and makes rich; He brings low and lifts up” (1 Samuel 2:7). Any consideration of managing money, therefore, must begin with this: God owns it all. Maintaining a biblical mindset about God’s provisions matters for at least two reasons. First, it matters because of our relationship. We have been made in God’s likeness, fashioned for fellowship with him. He has redeemed us by the blood of his Son, showered us with blessings, and loves us with an everlasting love. Our response to this must be one of gratitude, and one way our gratitude is evident is in the way we manage the gifts he has given. “In the wilderness He fed you manna which your fathers did not know, that He might humble you and that He might test you, to do good for you in the end. Otherwise, you may say in your heart, ‘My power and the strength of my hand made me this wealth.’ But you shall remember the Lord your God, for it is He who is giving you power to make wealth . . . And it shall come about if you ever forget the Lord your God, and go after other gods and serve them and worship them, I testify against you today that you shall surely perish” (Deuteronomy 8:16-18a, 19). In other words, God is paying attention to our response to his goodness in providing so abundantly for us. When we ungratefully receive and improperly use his provisions we wound his heart and injure our fellowship with him. Guard your relationship with the Provider, not the provision. Another reason for maintaining this biblical mindset is because of our rewards. Scriptures teach us to view money and all materials things through the lens of eternity. Heavenly rewards await those who faithfully manage the provisions God entrusts to us on earth. “Do not lay up for yourselves treasures upon earth, where moth and rust destroy, and where thieves break in and steal. But lay up for yourselves treasures in heaven, where neither moth nor rust destroys, and where thieves do not break in or steal; for where your treasure is, there will your heart be also” (Matthew 6:19-21). 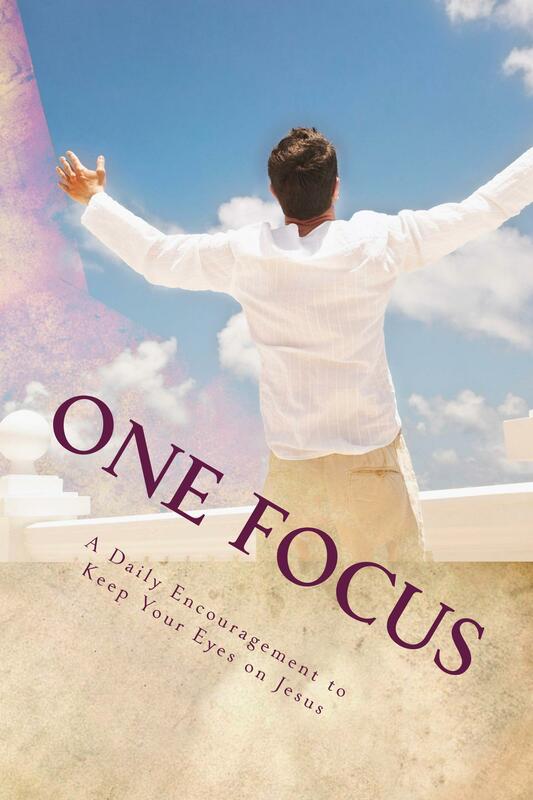 Jesus is asking us to see material things with an eternal perspective. This view sees all earthly treasures as not only a provision God makes for our own temporal needs, but also as a means to serve God and help others. In the process, we store up eternal treasures in heaven. To be sure, Christ’s words about storing up treasures in heaven can be broadly applied to how we spend our time and use our abilities. The Scriptures are clear that there are rewards for those things, as well. 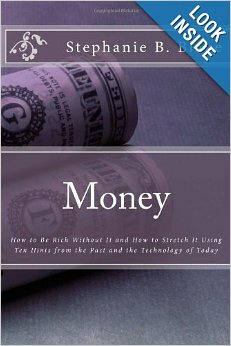 However, the central emphasis of this text is about giving and unselfishly using money and possessions. We store up treasures on Earth by accumulating and preserving them. We store up treasures in heaven by holding loosely, sharing generously, and giving away earthly treasures for God’s Kingdom purposes. This is very practical investment counsel; invest in what has lasting value. Money is only of temporary value—unless, that is, it’s used and spent and shared and given with a view toward heavenly treasure. Moths destroy fabric, rust corrodes metals, and thieves can steal almost anything. No earthly treasure is safe. Yet even if they escape moths and rust and thieves, they cannot escape the coming fire of God that will consume the material world (2 Peter 3:7). Therefore, Jesus is not condemning wealth as morally wrong, but rather, he’s telling us it’s a bad investment.